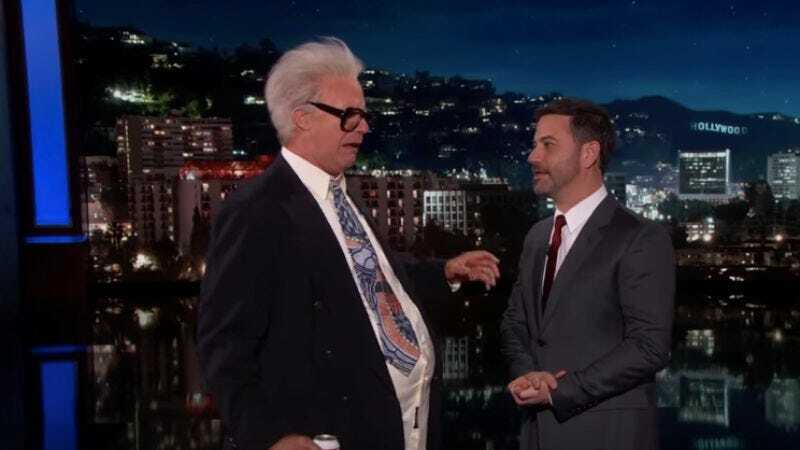 Because the impossible happened and the Chicago Cubs have made it to the World Series for the first time since 1945, Will Ferrell did us the honor of raising the dead by stumbling onto Jimmy Kimmel Live! last night to revive his Saturday Night Live impression of legendary announcer Harry Caray. Before he left, Kimmel asked Ferrell/Caray to call a home run he had hit some years ago at a celebrity softball game. After all, Vin Scully had done him the honor when he was a guest. Caray used the opportunity for some A+ roasting, and then led the audience in a rousing rendition of “Take Me Out To The Ballgame.” Following that, we assume he returned to the clouds to smile down upon the Cubs as they begin their journey tonight.